Empowering medical professionals to be more independent in their careers and make more money. A platform to redefine the medical staffing industry. This platform empowers medical professionals to be more independent in their careers and make more money. 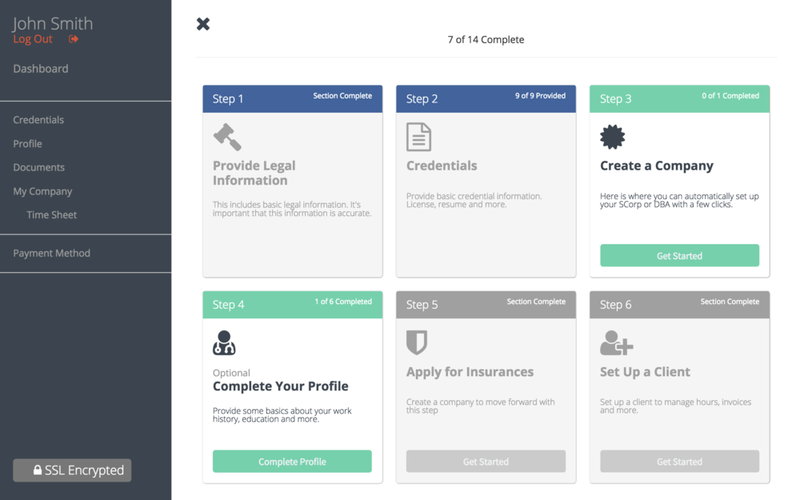 This platform automates complex paperwork and logistics. It combines credentialing, time sheets, invoice management, insurances and more into a single sign on. The client and specific details of this project cannot be disclosed. Professionals can easily add education, specialties, work history and more. This acts as a living resume alongside the credentialing system. This ensures potential and current employers have the most accurate information on medical professionals. Medical professionals can easily - on any device, enter time worked. This can be entered in simple daily time sheets or convenient week by week time sheets. Once time is entered it is automatically converted into invoices that can be automatically sent out to the client. The platform even provides one click application for invoice funding so professionals don't have to wait 30 or 90 days until they are paid. On boarding is simple and clear. Center stage is a Comprehensive Dashboard - Clearly lays out what's been done, what's pending and what actions are available to take. Medical credentialing can be a frustrating back and forth. Expiring documents can be missed or overlooked and can lead to expensive delays in employment. This platform takes care of this, stays on top of credentials, expirations and renewals before there is issues. The platform is flexible as well. 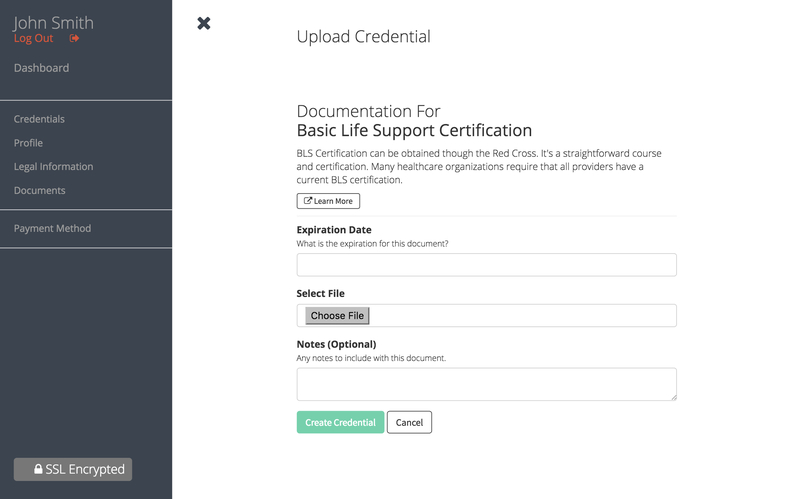 New required credential types can easily be added to all accounts in a few clicks. The industry is always evolving and the platform is built with the flexibility to keep up with the changing demands of the healthcare industry. This platform is built to ensure a Medical Professional never experiences employment interruptions due to credentialing oversights or errors. Design and development of content marketing.